Can I add volume indications in source and target languages in the jobs table? 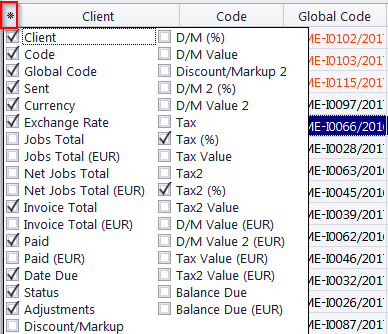 1) In the "Projects => Client Jobs" window, click the asterisk in the top-left corner if the table. 2) Select the "Volume" check box and the corresponding column will appear in the table. Of course, you can always add a custom field whereyou would place the target language volume.